Are we likely to see a Cannondale aero road bike at tdf 2016? I love my supersix evo but all other manufacturers seem to have an aero road bike. Will Cannondale be releasing an aero bike this year? I will not be surprised if the current ss evo is more aero than some aero frames. I could see it being more aero than a stock aernario or other aero look frames but a proper wind tunnel designed frame would surely be faster. I can't find it but I thought tour magazine used a ss evo as the round tubed comparison in one of there aero tests. I thought cannondale hired one of the ex cervelo engineers last year and was hoping he would be making an aero road bike. A S3 copy with a lower front end and ss evo rear would be perfect. Cannondale has a strong identity. If they are to make an aero frame it will never be like an S3 'copy' or any other 'copy' whatsoever. Copy was the wrong word. I meant something not fully integrated. In the same was the slice is claimed to have very good aerodynamics but not the best but is much easier to live with than some other TT bikes. But maybe they feel the current SS evo is close enough to the aero bikes but lighter and easier to live with. kgt wrote: Cannondale has a strong identity. If they are to make an aero frame it will never be like an S3 'copy' or any other 'copy' whatsoever. When Cannondale eventually releases a true aero road bike, it will be closer to a S3 than a Venge ViAS. Damon Rinard is in charge now. Cannondale hired him specifically over other potential engineers for a reason. Not that hard to figure out. I like the idea of their top model becoming more aero, rather than them producing a new aero model. I have no idea what you mean by S3 'copy' as that can mean anything you want. Of course it won't be a literal S3 frame kgt, as Cervelo owns the molds to that. Even you should know that. But depending on how much comfort and compliance Cannondale wants to incorporate, you could see thin seat stays like the S3/R series or you might not. But in relation to the S3 and S5, you will see an aero headtube, aero downtube, a seat tube cut out of some sort and probably a BB30A/PF30 type bottom bracket. 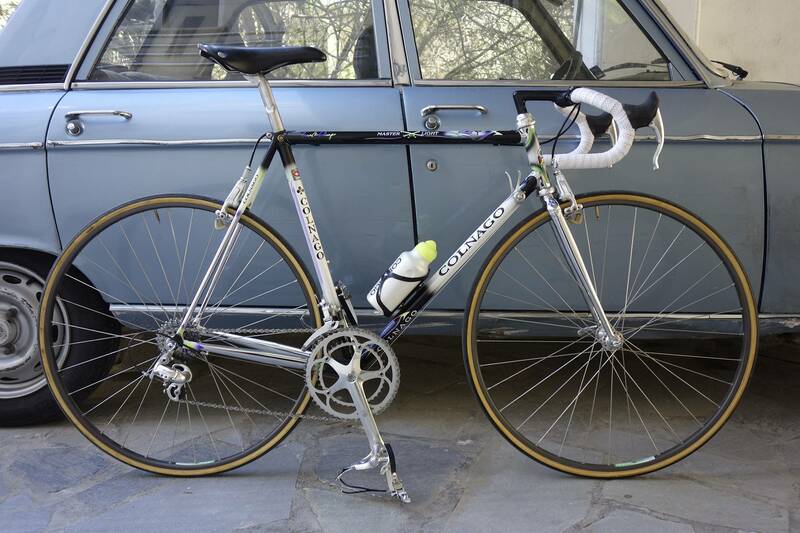 To make myself clear: considering Cannondale's design identity is very strong and practically unaltered during the last decades (I am talking about its top road frame here) I am curious to see how will Cannondale approach the design of its new aero frame (if such a frame is to be ever produced). So, IMO, the new aero Supersix will not look like something we have already see. Sure, pencil thin seatstays, aero tubes etc. etc. but it will still look like a Cannondale (whatever that means). No reason that Cannondale won't diverge their carbon road lineup; Evo (non-aero race, more aggressive fit), Synapse (comfort race, more upright) and a new whatever they call it aero race. I'd argue, Cannondale is way behind the rest of the industry by 3-5 years and that the hiring of Rinard signifies a new direction that Cannondale will be taking. Slice is a bit outdated and lack of a true aero road frame is behind the industry standards. The company's products are difficult to fathom. Noodly frames (Evo cough) and repeatedly inconsistent line-up of new bikes over the years. It is kind of irritating that you can't get a stable product from Dale, one which is gradually and consistently evolving. You never know what new mish-mash they'll pull out next. Every few years there's a totally new bike together with new and unforeseen issues presented therein. They spend too much effort on hypothetical bookwork arguments in their designs. Furthermore they seem to pay little attention to real world testing and indeed prior experience of their own products. Most times I've observed that they seem to have a dedicated team or individual who reads the half-baked comments, theory and ideas in this forum and push the notions presented straight into their products. If we just go back a few years and reconcile the Super Six (pre-Evo). It was a rip-off of the Tarmac SL3. Or the other. That was a crucial turning point. They introduced the BBox BB which they then abandoned in the Evo. In addition, they haven't improved the overall geometry either until now. But even this awaits to be seen. How many new SS have we seen since its introduction in 2008? One, two, three, four. A lousy Pro Tour team too. kgt wrote: To make myself clear: considering Cannondale's design identity is very strong and practically unaltered during the last decades (I am talking about its top road frame here) I am curious to see how will Cannondale approach the design of its new aero frame (if such a frame is to be ever produced). Your statement is incorrect. Sorry. Evo already has pencil thin stays. It is an aero bike for all intents and purposes. It is a general purpose road bike as well by all accounts. Yet the Synapse is supposed to take the role of a general purpose bike. But they keep radically changing their products so frequently and by so much that it's difficult to get a handle on the notion of 'Purpose' of their products. Are you able to guess how many times the Synapse has changed? Too many times. Where will Dale fit an aero bike. A true aero, one suitable only for flat terrain, there is the Slate. Ride that TT bike on the flats and there's nothing stopping you. My own personal feeling is that this trend we've seen of separation of models into aero, general, comfort over recent years will re-coalesce again into certainly at least two categories again. Carbon frames are already very comfortable and there's little point in having a specific Roubaix style bike and a general purpose road bike. The general purpose bike will keep getting smoother and comfortable. A true aero bike will again likely merge again with a TT specific bike. 53x12 wrote: I'd argue, Cannondale is way behind the rest of the industry by 3-5 years and that the hiring of Rinard signifies a new direction that Cannondale will be taking. Slice is a bit outdated and lack of a true aero road frame is behind the industry standards. And the Slice isn't outdated (for one thing it's brand new), they've just used a different set of design priorities to everyone else. There's nothing else out there like it. I agree that the Evo is an awesome bike. I usually get a new bike every 1-2 years. I've had my Evo for over 3 years now with nearly 25+ miles. I've upgraded components, but the frame remains the same. I've test ridden other bikes, but nothing comes to close to it in my opinion. If I had the money, I'd just upgrade to a lighter Hi-Mod frame. I average 19+ MPH solo on my rides, and don't race crits. Thus, I don't think an aero frame would benefit me. Plus, our group rides are very hilly. I have a TT bike if I really want to go fast. My wife also has SuperSix and absolutely loves it. The only thing I did to it was upgrade her bike to Di2. Of course, I killed the warranty by drilling holes, but she loves how the bike rides and the Di2 shifting. If Cannondale does come out with an aero bike, I hope Damon is taking his time to create something ground breaking. I think the Slate is odd, but give Cannondale kudos for doing something different.